Here are the Top 50 Comics & Graphic Novels on Amazon Friday morning. See About the Amazon Top 50 Lists for more information on how this list is compiled. 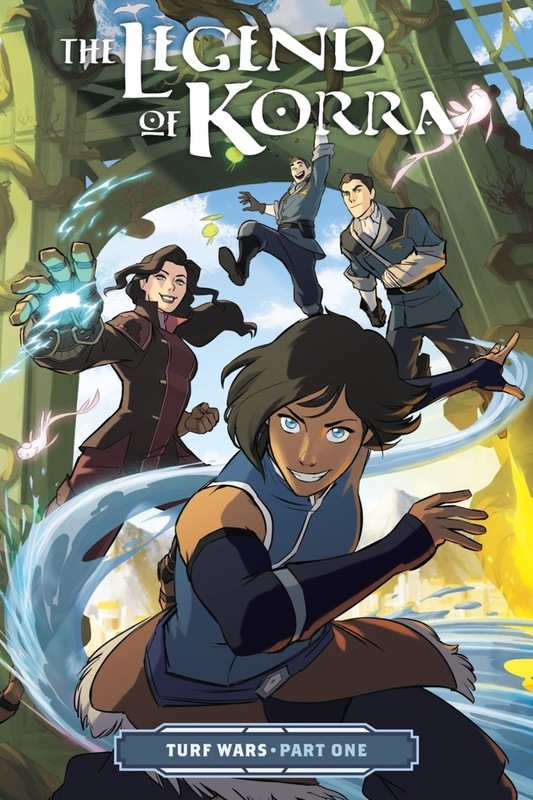 After a week at #2, the pre-order for The Legend of Korra: Turf Wars Part One returns to the top spot this week. Part Two (not due out until January 2018) also moves into the top ten, and the Kindle edition of part one debuts at #20. Clearly there's some interest in Korra out there! Derf's My Friend Dahmer returns to the chart—with the paperback at #5 and the Kindle edition making an appearance as well—no doubt due to interest in the upcoming movie. The top debut this week is the preorder for the latest volume of My Hero Academia, with several earlier volumes returning to the chart as well. Also debuting this week is the preorder (not due out until March 2018) of an Infinity Gauntlet Box Set Slipcase, a rather expensive hardcover set made a good deal less expensive by Amazon's discount. Rounding out this week's debuts are the sale-priced Kindle edition of Dirt Candy: A Cookbook; the newest digital issue of Secret Empire; and the upcoming third collection of Paper Girls. The movie may have tanked at the box office last weekend, but the Valerian comic collections maintain their positions on the chart this week. 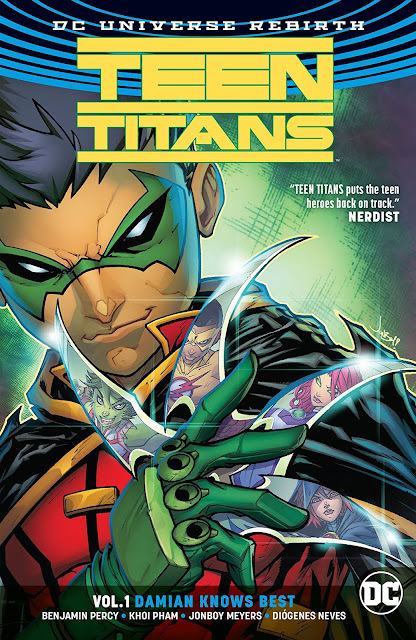 Here are the trade paperback collection sales for DC Rebirth trades via Diamond-North America, cumulative through May 2017. These sales represent only those sales reported through Diamond-North America accounts. They do not include sales through book stores, foreign sales, book clubs, or to most libraries. Note that for those trades with no listed sales in May (Supergirl, Blue Beetle, Hellblazer, etc.) that just means that they didn't make the Top 300 in collection sales for the month; they may have had sales that were below the Top 300 threshold (425).